Inspired by Churchill’s Dunkirk speech, brash, undisciplined bush pilot Brian MacLean and three friends enlist in the RCAF but are deemed too old to be fliers. 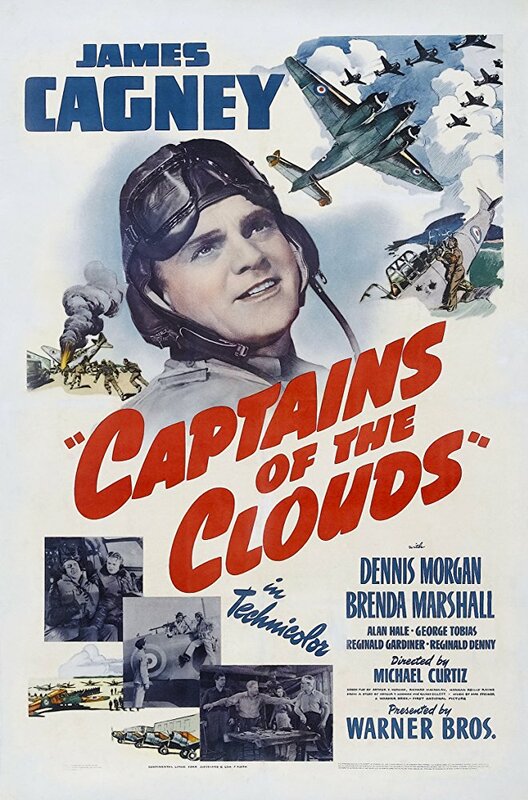 Captains of the Clouds aimed to show Americans, who had just recently entered the war, the contributions of the Royal Canadian Air Force, and the Canadian military as a whole. Corporal W. Nichorster, Royal Canadian Corps of Signals, in the underground switchboard of a captured German radar station near Beny-sur-Mer, France, 17 June 1944. 1915 For his actions at St. Julien, Belgium, Fred Fisher of the 13th Battalion, C.E.F. earned the Victoria Cross. (Posthumous). Coming up from St. Julien that day during the Second Battle of Ypres, he discovered two 18-pounder field guns in danger of being overrun by attacking German infantry. Fisher brought his machine gun into action, and with the help of six other soldiers, held the enemy off until the field guns could be withdrawn. These are 10 of the 630 Canadians who fell on this day in history. WARTIMES.ca © 2019. All Rights Reserved.